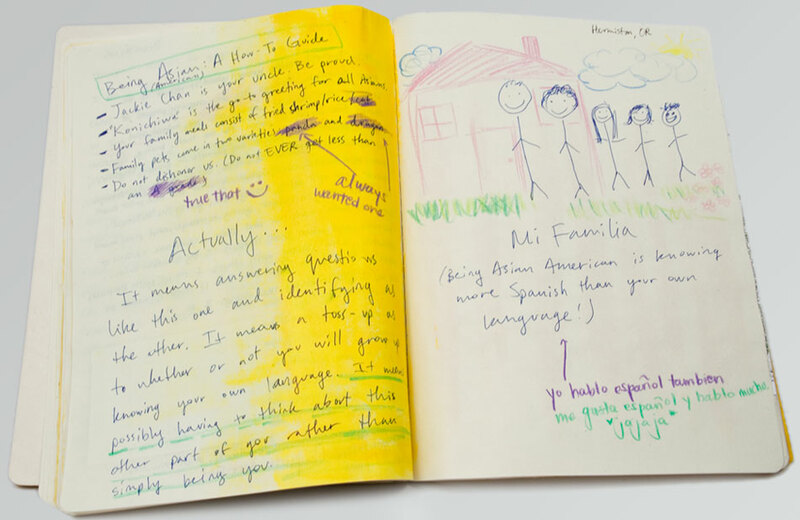 Yellow is a journal project that invites the participation of the Asian-American community to share their experiences. Yellow effectively looks at the discrepancies between how people are categorized through statistical data and how they perceive themselves. Yellow evolved into an artist book that used an entry from the Yellow journal project as its text. The images are taken from the Asian Population Census from 2000. Please view the blog for Yellow at http://toastandtea.org/yellow/.